Raindrops on roses, whiskers on kittens... well, not exactly. I love all of those things too of course, and I thought it might be fun to do a round-up of all the things I've been loving so far over the first quarter of 2018! In identifying my favorites, I'm hoping I can reflect upon how I'm doing in fulfilling my core needs and achieving my 2018 resolutions. These past three months have really been about balance. I've been trying to find my footing as a new Etsy shop owner, balancing my well-being with my want for creating gifts for the people in my life, and trying to enjoy as many things as I can with the limited time I have in my days and weeks. If you read my last blog post, you'll know that I've been attempting to figure out exactly how I want to prioritize my time and energy in order to boost my own happiness. Incorporating more painting time was one of my biggest priorities in both my resolutions and my list of core needs. 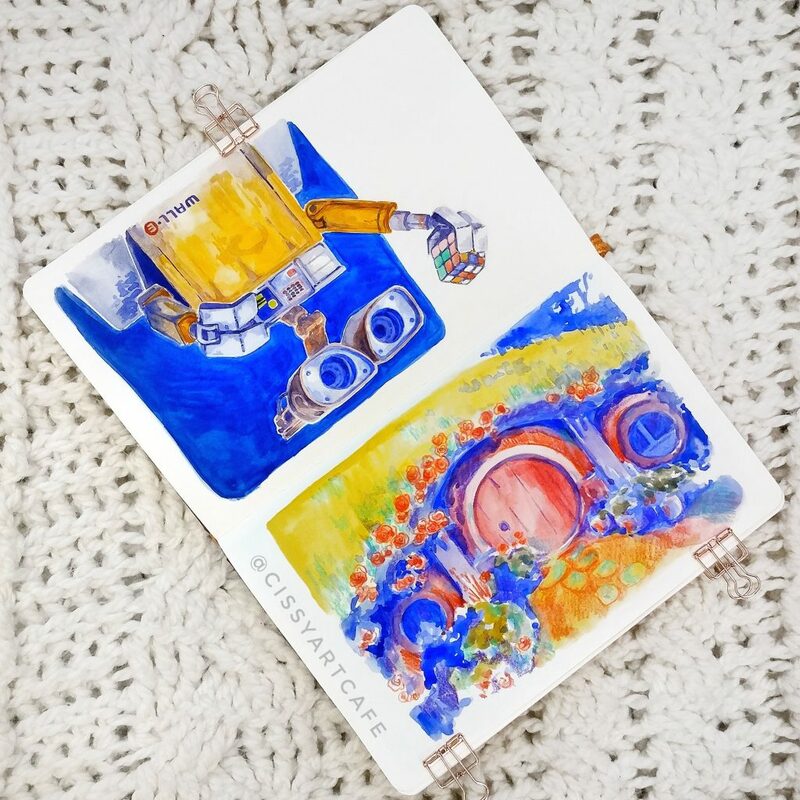 While art journaling has fallen by the wayside in favor of my movie scene paintings this month, I've achieved my ultimate goal by incorporated daily art into my routine. Personally, that's a pretty big deal, since I haven't been able to keep up a habit like that since I was a kid! 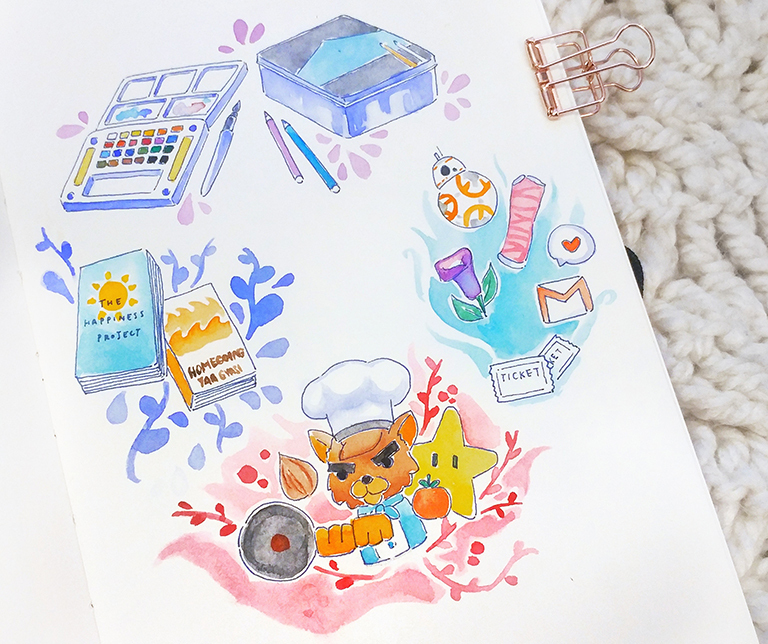 My favorite art supplies I've been working with are my trusty Sakura Koi Travel Watercolor Palette and my Prismacolor colored pencils. 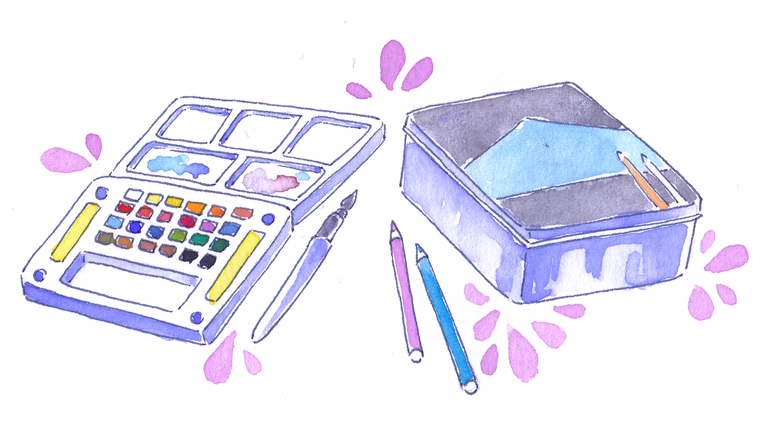 The portability of the watercolor palette means I can carry it around to work and to my significant other's place, which gives me zero excuse to not paint every day! This palette came with me to Italy last fall and continues to be a staple in my art carry, although some of the colors are getting quite low. I'll have to decide which palette I want to try next soon - let me know if you have recommendations! Two of my favorites from this month's series of daily paintings - I'll be posting a recap of these soon on this blog. In the meantime, follow along on my Instagram! The Prismacolors, on the other hand, are a beloved staple of mine. I used to create art with them in high school (let me know if you want to see some of my old work!) and they have yet to fail me now. I really love the texture they add when I mix media in my sketchbook. I've found that over the past month of daily painting, I've become a lot looser in my style and color choices. The vibrancy of my current paintings really make me happy, and I hope you like them too! I haven't done as much reading this month as I'd like, but I'm currently on track for achieving my reading goal nonetheless. 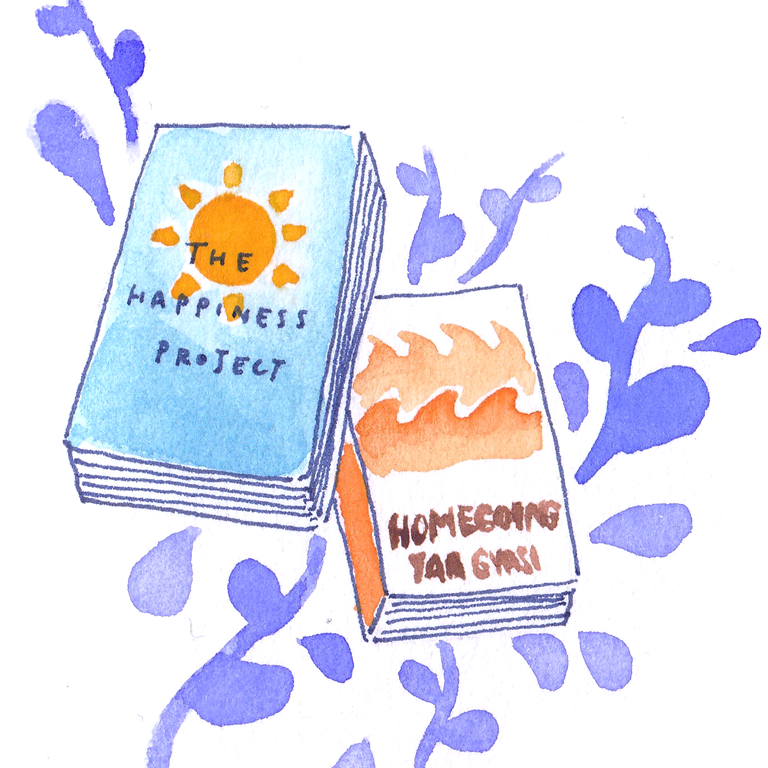 I'm currently reading Dear Theo, which is quickly becoming a new favorite, but of the 7 books I've finished so far this year, Homegoing and The Happiness Project definitely stand out. I know they're two very different books: one's a self-help style memoir, the other a historical fiction that grapples with real social issues. Yet, both spoke to my core - they both touch upon the concepts of owning your own self and your own livelihoods, and they're both written in beautiful and compelling ways. They both fulfill the boxes I check when I look for books to read. I like for my books to teach me things, to show me worlds I don't always see myself, to leave me with words I want to remember. Strength is knowing that everyone belongs to themselves. We are all products of our upbringing, our genetics, and our environment, and yes, all of those things often create adversities we must overcome. But this sentiment helps me remember that in the end, I still have a choice - to try to be a better friend and a better person, and to allow myself to pursue the things that my anxiety does not want me to do. But do you love it? Do you feel it inside you? How I feel about creating, and some of the people around me. I think by knowing who we are as people and being ourselves, we can start making the world better. I think that self-awareness is the first step to understanding what parts of ourselves we should work on and improve; as parts of the world, our self-improvement directly influences and works toward a better world. Plus, I've found that happier people tend to care more about making the world better and happier, too. The belief that unhappiness is selfless and happiness is selfish is misguided. It’s more selfless to act happy. Something I've only recently learned, truth be told. 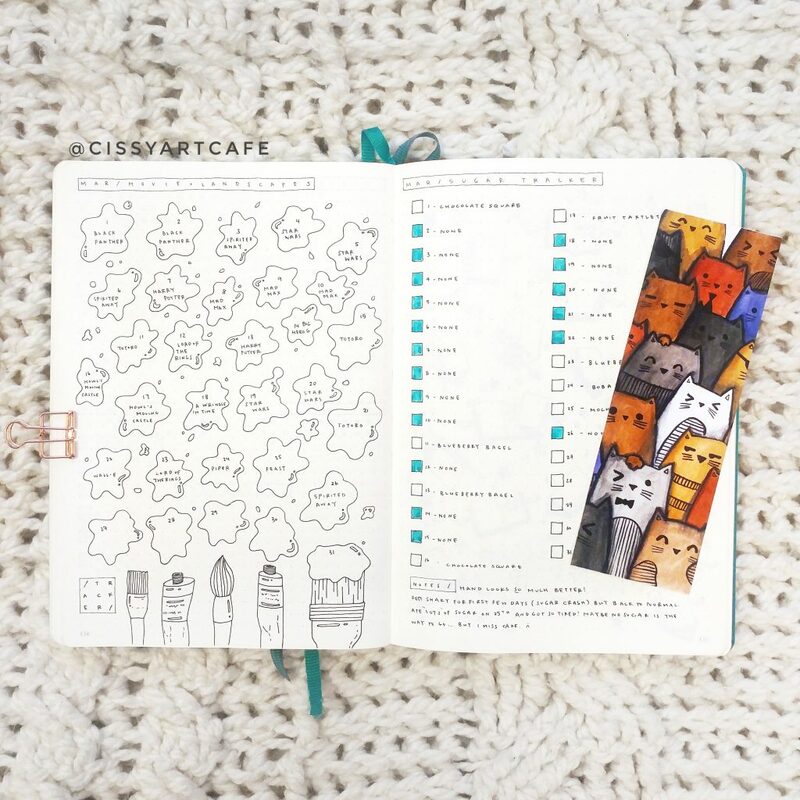 Find my cute and whimsical reading tracker here, and friend me on Goodreads! Let's reach our reading goals together. Love, Simon - a lovely feel-good movie about how being of certain sexual orientations doesn't make you any less normal. I loved all of these movies. If you have not seen them, go throw your money at them. Please. Let us consume and support media that truthfully represents how truly beautiful and diverse our world is. We still have a ways to go, but in the meantime, every step counts. My significant other and I took up playing co-op games at the beginning of this year, and it's been a ton of fun! He's much more of a gamer than I am. By this, I mean that one of the first things his mom told me about when I met her was how he would play video games all day and how she couldn't get him to do his homework. I, on the other hand, did not play video games growing up. While I now own some games on my computer, I rarely play them. We started with playing Mario Kart on his roommate's Nintendo system, which has evolved from me playing with Baby Peach (she's the cutest) and being absolutely terrible to being marginally better and selecting a heavier character (Pink Gold Peach, because she's the only cute heavier character). We then decided to buy some co-op games on Steam, which introduced us to my first real video game obsession: Overcooked. Remember when Facebook games were all the rage? Restaurant City was my favorite, because I liked anything that involved interior decorating and cooking. 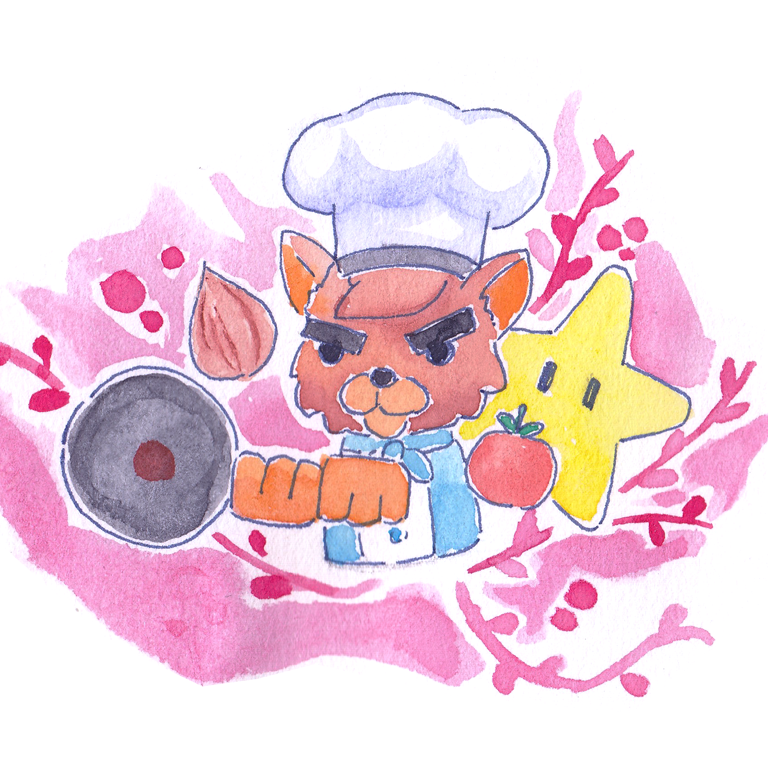 Turns out, video game cooking has continued to be a hidden love of mine. The internet told us that relationships die over Overcooked. Luckily, that has not happened to us. However, Overcooked has turned me into a monster. I want to play pretty much any time I'm over at his place. I want all the stars. We can sit there and grunt commands at each other for hours: "dishes!" "serve." "cut." "cook." "It's burning." "onion. ONION. That's a potato!" "SEND ME THE INGREDIENTS." I heartily recommend this game to everyone. Play it with a friend or a partner. You'll (probably) come out stronger. On a more serious note, I've also started implementing some dietary changes. I have some pretty severe eczema on my right hand and on my feet, and I've been trying to figure out what the cause is. I've since identified that the excessive amount of sugar I've come to consume (thanks, office snacks) has been a huge contributor to my eczema. While eating close to no processed sugar in March has been kind of terrible, the results are in: my hand has looks substantially better. So while I'm losing cake, I'm gaining a normal-looking hand, and that's definitely a favorite of mine. I'm planning on tracking my food much more rigorously next month to see if I can identify anything else that's contributing to my eczema. How I've been tracking my daily art and my sugar intake. 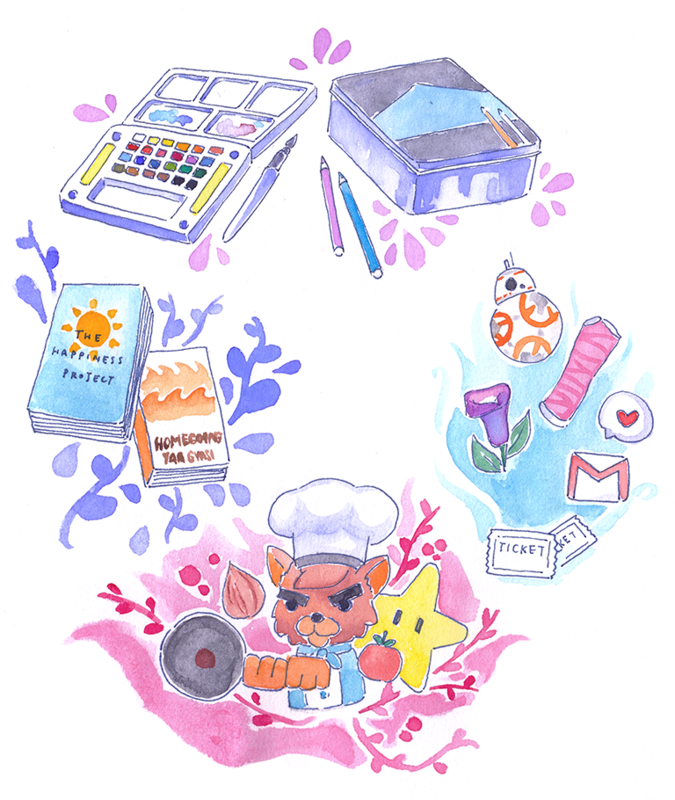 You can get my art tracker in my Etsy shop! While the year started off a little shaky, I've become more sure in myself and becoming better at contributing to my own health and happiness. 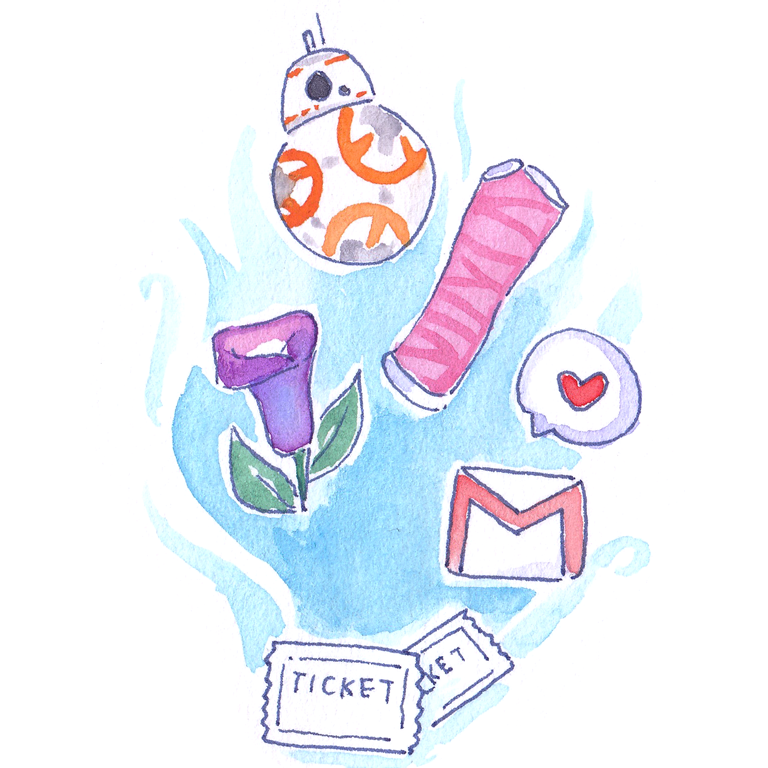 I think my favorites of the first quarter of the year represent that pretty holistically! I'd love to know - what have you all been loving so far in 2018?